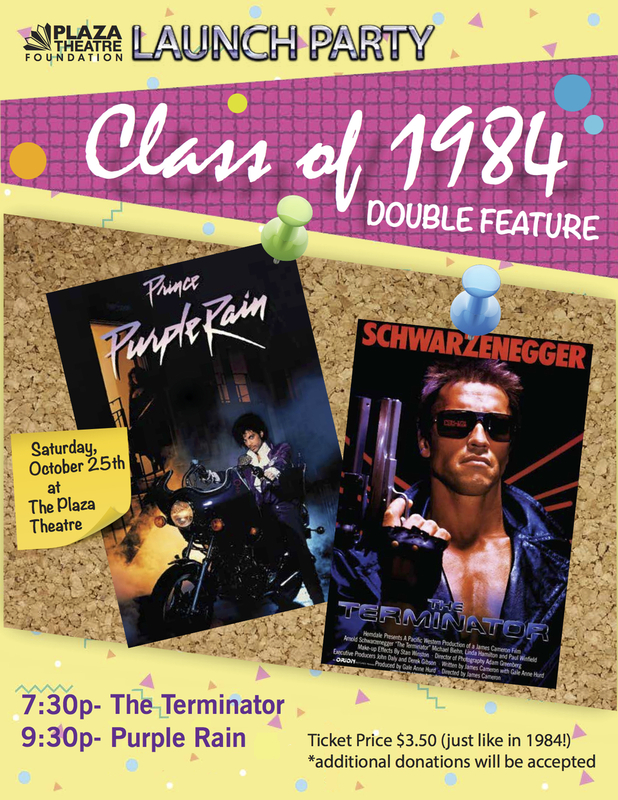 The Plaza Theatre Foundation is having a launch party to celebrate its Class of 1984 series. Kicking things off is a double feature of "The Terminator" and "Purple Rain." Just like in 1984, tickets are only $3.50! Additional donations will be accepted. Come join the fun and celebrate the 30th anniversary of these great films with us at this great movie house! Atlanta Film Festival and Plaza Theatre Foundation members get in free! Use the email address associated with your membership as the discount code to register your free ticket.